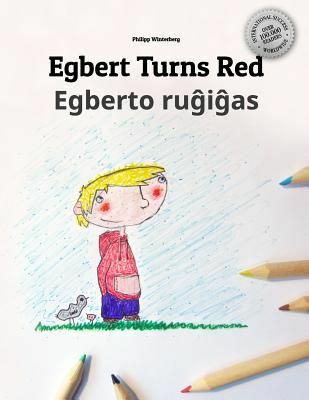 Bilingual edition English-Esperanto: "Egbert turns red" - Egbert turns red. When Manfred bullies and teases him, Egbert turns very red. Angry and red. What can one do about it? Egbert has a plan and an adventurous idea.